FFA - A Place for Mom says their recent advertising on Al Jazeera America was an error after Florida Family Association confronted the new ads. Two hundred twenty one 221 companies have stopped advertising on Al Jazeera America. When a company starts advertising again on Al Jazeera America after being the target of online campaigns Florida Family Association responds swiftly. Florida Family Association influenced A Place for Mom to stop advertising on Al Jazeera America in October 2014 only after launching email campaigns that encouraged retirement home companies, to which A Place for Mom referred, to stop doing business with them as long as they advertised on Al Jazeera America. See below History regarding A Place for Mom advertising on Al Jazeera America. So when A Place for Mom advertisements started frequently appearing on Al Jazeera America the week of April 20, 2015, Florida Family Association first sent emails to the CEO and a VP of Warburg Pincus who owns A Place for Mom. Next, Florida Family Association forwarded the email to the officials at the top seven retirement home companies in America to inform them that A Place for Mom advertisements were frequently appearing on Al Jazeera America again. Dear Mr. Caton – Just confirming our telephone conversation today. 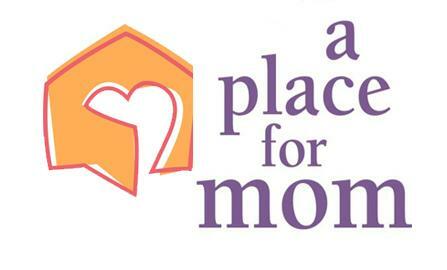 A Place for Mom does not purchase advertising on Al-Jazeera. In addition, our per inquiry advertising or “PI” companies that place our commercials on remnant space were advised expressly last year that no A Place for Mom commercials should be run on Al-Jazeera remnant space. Thank you for providing the 800 number and time of broadcast during our conversation. This was traced to a PI company who confirmed last fall that Comcast Florida did NOT include Al-Jazeera as an offering, and that PI company was buying remnant space with Comcast Florida. At some point, Comcast Florida included Al-Jazeera as a channel offering. As a result, our PI with Comcast Florida inadvertently, and in violation of our express directive, found its way to Al-Jazeera yesterday. We have confirmed that this placement will cease immediately, and have initiated traffic stop instructions with Comcast to that effect. To the extent that your email was sent to our business partners who are listed on your website, I would appreciate your following up with another email confirming that A Place for Mom is not advertising on Al-Jazeera. In addition, last summer I worked directly with you on this issue and so you know our position – we do not buy advertising on Al-Jazeera and we advise our PI companies not to place ads there. If there are any issues in the future, such as the mistake outlined above (which I do not anticipate), please feel free to call me directly at 206.802.1558 or email me so that I can address any concerns personally, directly and immediately. Florida Family Association remains vigilant in the mission to influence Corporate America not to support Al Jazeera with United States consumer dollars and the prestige of their brand name.